For years debates have been raging across the country on how to best manage populations of white-tailed deer. Many argue that most management tools are costly and that a cull is the easiest, and the cheapest, management solution. However, many animal welfare advocates believe that immunocontraception is the proper management tool- one that has been used in test locations throughout the country with success. Immunocontraception is a birth control method, which when used can prevent pregnancy in white-tailed deer and therefore serve as a solution to overpopulation issues. It has been used, with success, to reduce deer populations in locations throughout the country including Fire Island National Seashore, N.Y. and Fripp Island, S.C. The problem is that immunocontraception remains controversial. Those who oppose the use of contraceptives in wildlife populations argue that it is more expensive, and less effective, than the use of a traditional cull. Both of these arguments have been refuted with evidence from past immunocontraception test sites, but the battle still wages- and the National Park Service is very heavily involved. On October 25, 2012 a lawsuit was filed, in the U.S. District Court for the District of Columbia, to prevent the National Park Service from proceeding with a lethal cull of white-tailed deer in Rock Creek Park. The lawsuit alleges, among other things, that the Park Service has an obligation to preserve the park (thus including its wildlife) in a natural condition, and that engaging in a lethal cull fails to meet this obligation. 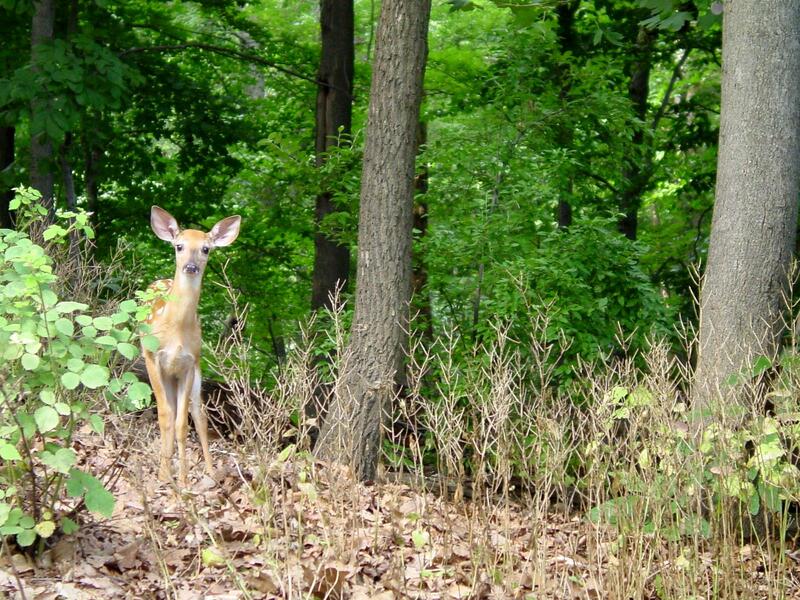 Within weeks of the filing of the suit, an agreement was reached between the parties which halted the cull of deer within Rock Creek park for the 2012-2013 season. However, a final court decision has not yet been made and advocates are waiting with baited breath in the hopes that these deer (and hopefully others like them throughout the country) will be spared a death-sentence. What are your thoughts? Do you think immunocontraception is the way to go? Check out a podcast on the issue. Also, if a person or group is to contend that being killed by humans (either public hunters, or government agents charged with a lethal culling), is “unnatural,” then my suggestion in reply would be, there aren’t any particularly pleasant “natural” ways for a deer to die. And, of course, there is always disease. Either of the infectious variety, or brought on by age. Like humans, deer can also be subject to various age-related maladies, such as malignant tumors. But unlike us, they don’t have available to them hospice or other end-of-life care, which can include such things as a quiet, safe sanctuary and painkillers. All that said, I don’t think there is any one option that will work in all areas. Hunting or lethal culling might work quite well in some areas. But it might not be feasible in others — given the inherent hazards of gunfire or archery — or the risk of offending the delicate sensibilities of those who might not wish to witness deer being killed. The suggestion of setting wolves loose in densely human-populated areas is non-sensical, and likewise, coyotes might be too problematic, in terms of conflicts with human interests. However, in some instances, a more low-key, lone and shy predator species — such as cougars — could be an option. In still other instances, administering birth control might work quite well. Or, a combination of methods might be applied, again, depending upon circumstances and variables — the proximity to human settlement and agriculture being only one of many. Perhaps immunocontraception, short of sterilisation, is just as malicious as a massacre. who is the ‘overpopulation’ a problem for? perhaps the deer know how to manage themselves. Mrs. Lomez. Deer don’t know how to manage themselves. They know how to eat, compete with other deer and other species for resources, and reproduce. Therefore, some population control will be in order. And in the absence of hunting by humans or four-legged predators, contraception or sterilization might be a viable option. However, you also touch on a good point — that being, urban and suburban sprawl encroaching on wildlife habitat. Being a resident of the West — where it’s common practice for people to come out and build trophy homes in snazzy subdivisions or their own private acreages — I’ve long thought, how much better the balance would be, if everybody could simply settle for buying or building a house in town, and leave the countryside for agriculture and wildlife. I am totally in favor of nonlethal methods – especially given all the misconceptions about deer “overpopulation”. it is simply gratuitous killing masked as a necessary evil. It’s not – Its just evil. Provoked, nature sees no evil in killing and death. In fact, death is the fuel that drives nature. And deer very well can — and in some instances do — become overpopulated — to the grave detriment of the ecosystem, other species, and themselves. That said, nonlethal methods, such as contraception, might very well be a fine and perfectly logical idea in some places, while not so much in others. John T. Mayer: I believe you are correct. But reintroductions are not needed; merely the cessation of coyote suppression could be enough to permit and enable a natural balance. Lee Hall, JD (developed legal strategy for the Valley Forge case, Friends of Animals v. Caldwell).